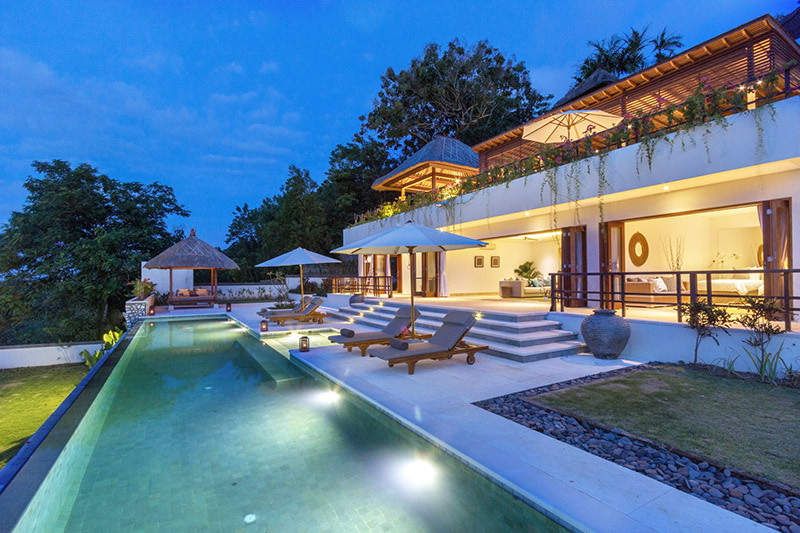 Villa Sesari is 6 bedrooms villa and comfortably accommodates maximum 12 adults. 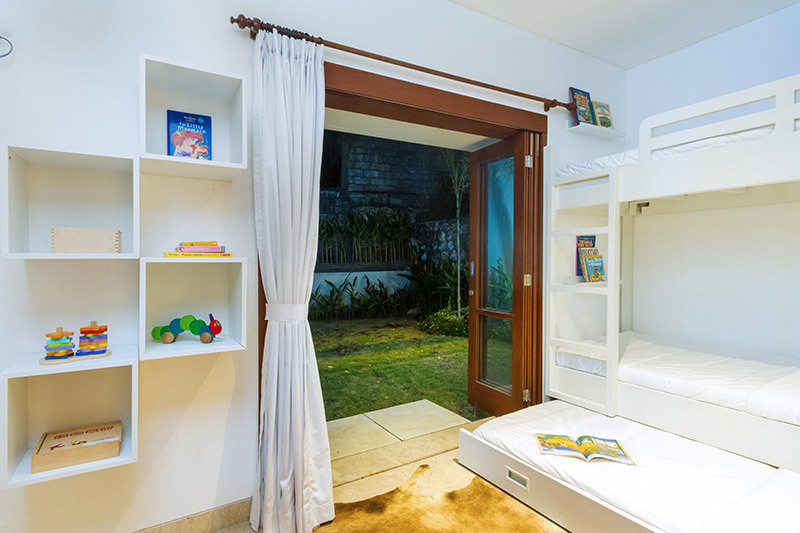 Villa Sesari is also offers 4 bedrooms villa and comfortably accommodates maximum 8 adults. 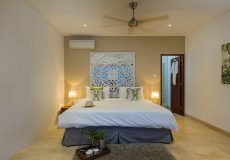 Villa Sesari is also offers 2 bedrooms villa and comfortably accommodates maximum 4 adults. 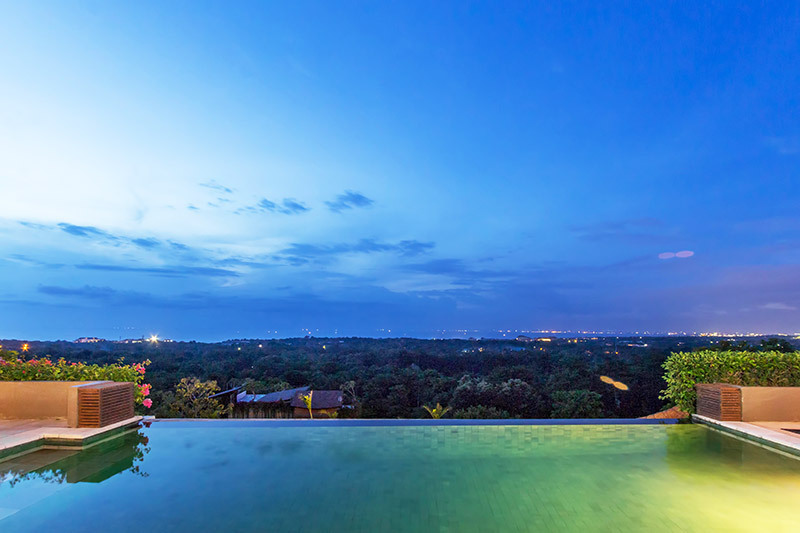 Villa Bayu with an amazing location, Located high on hilltop in the south Bali, offering amazing views of the beautiful countryside and also spectacular views of the Indian Ocean. 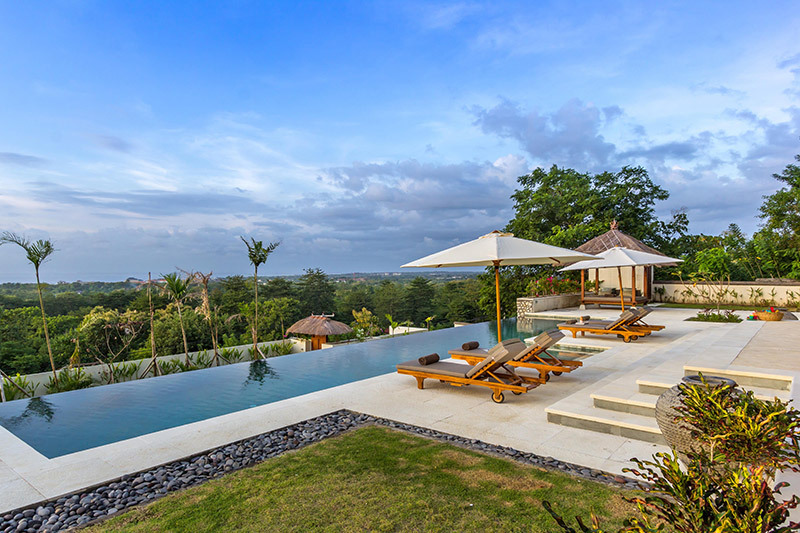 Villa Bayu will offers you the perfect holiday experience that needs a fun and unforgettable holiday. 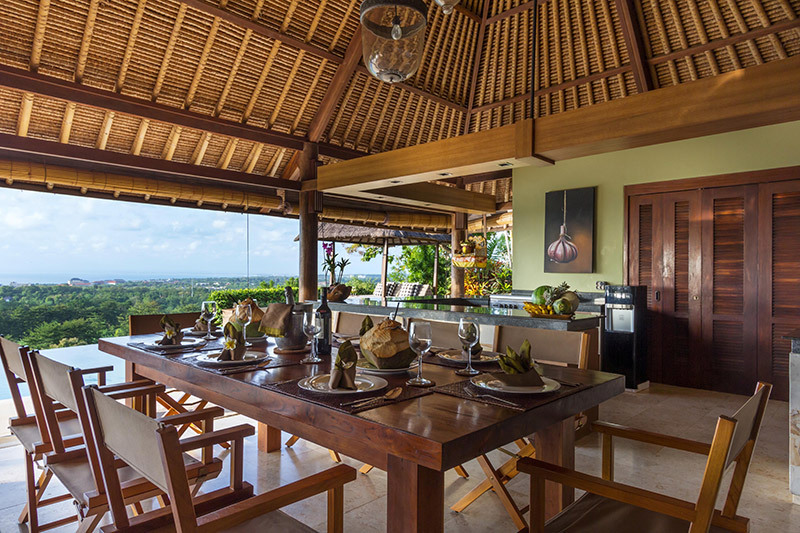 With the unique position of the villa, you will be able to watch the sunset over the ocean, and can enjoy the massage and delicious and delicious food that has been cooked by the villa’s private chef. 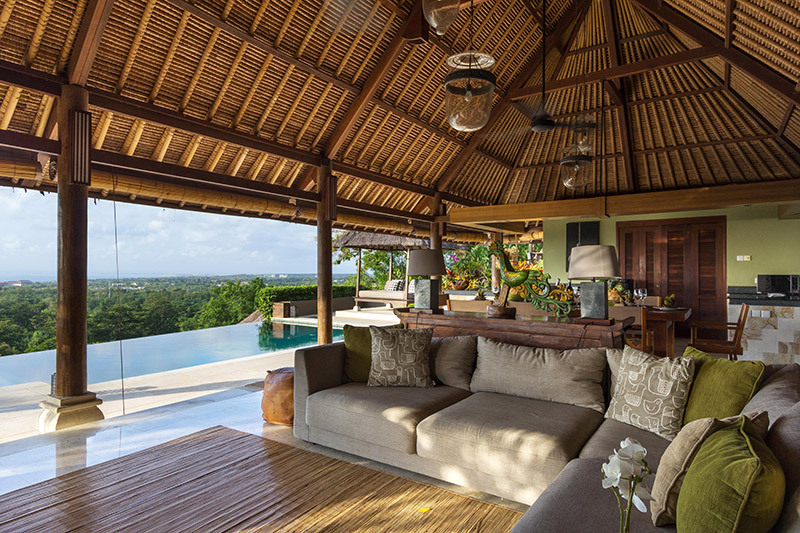 Then you can relax in the private pool, or can ask the driver to take you to play golf, horse riding, surfing or fishing or just take in the magnificent view of the island of Bali. 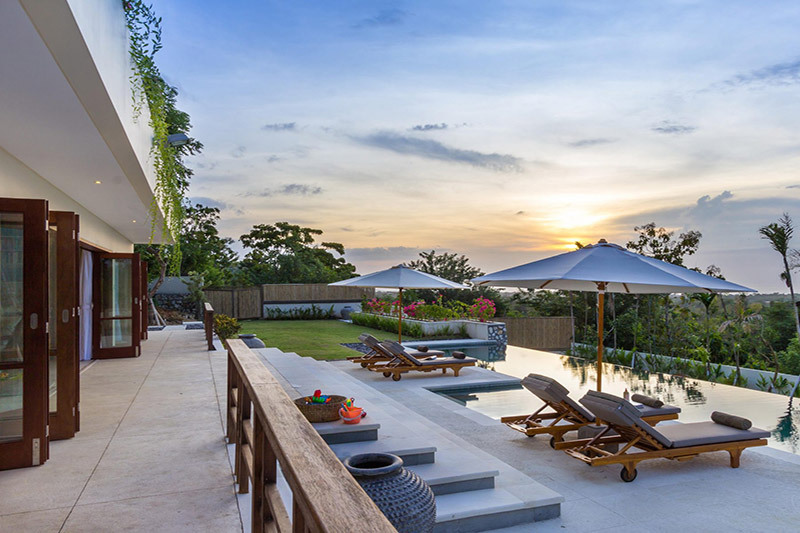 The villa is only about 30 minutes from Ngurah Rai International Airport. 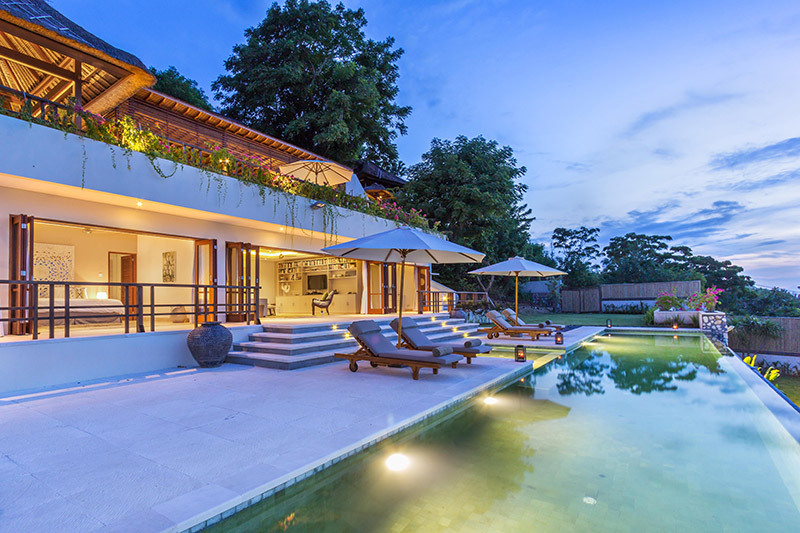 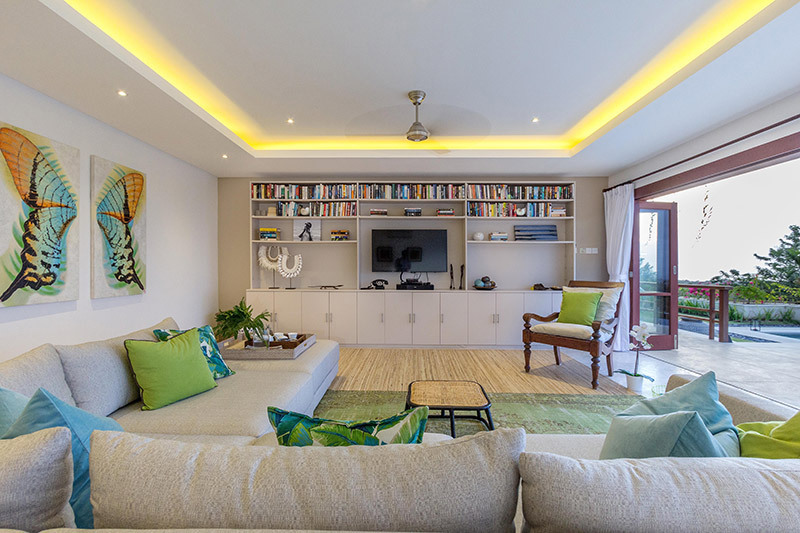 Villa Bayu will give you an atmosphere away from the hustle and bustle of tourists in Kuta as well as Seminyak, yet it has a great location just minutes from Padang Padang Beach and a variety of bars and also good restaurants. 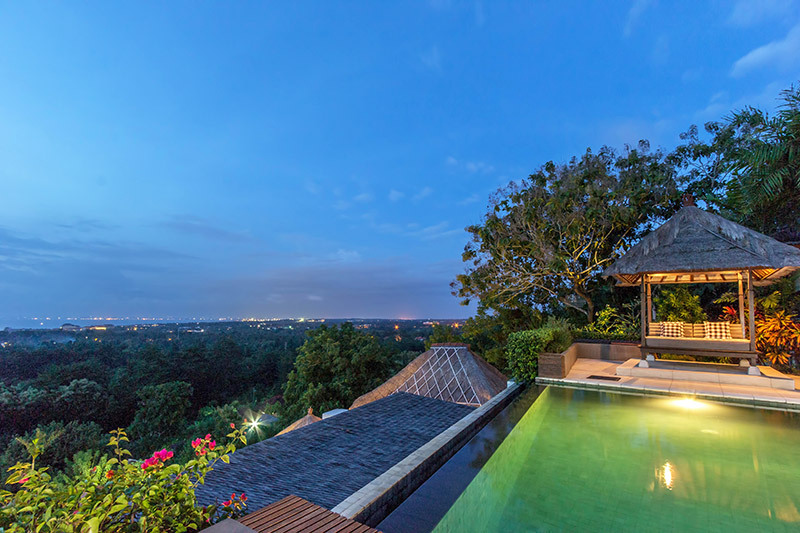 And the villa is only about 10 minutes from Pura Uluwatu, about 20 minutes from Jimbaran Bay, and about 25 minutes from Nusa Dua and also 50 minutes from Seminyak. 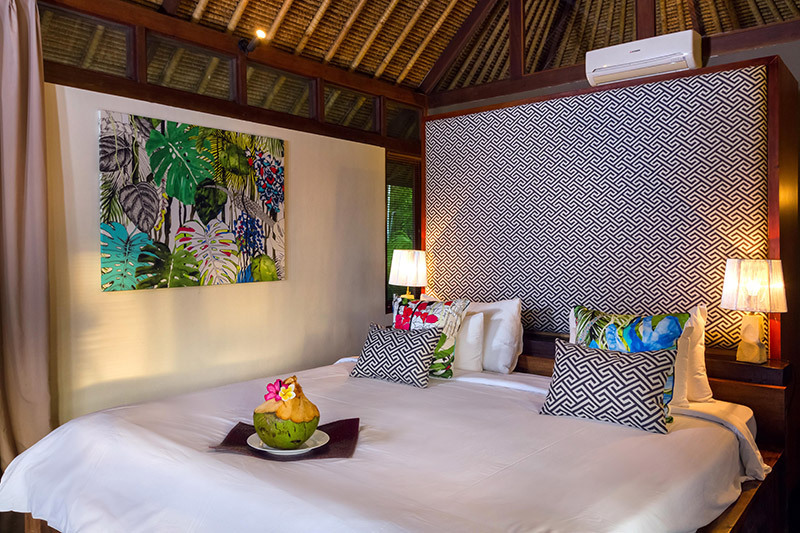 Bali Holiday Villa with 6 spacious and comfortable bedrooms will be perfect and perfect for you surfing enthusiasts, or together with your beloved couple and family. 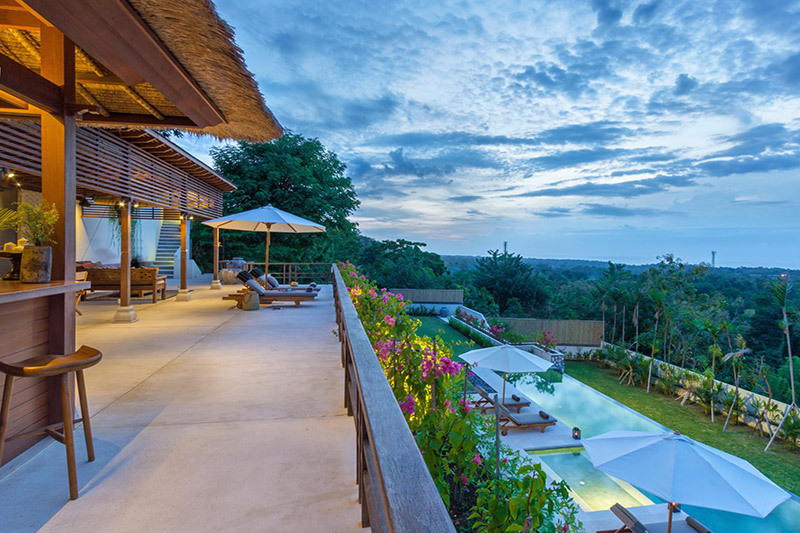 Villa Bayu has been designed to combine traditional Balinese architecture with a modern combination. 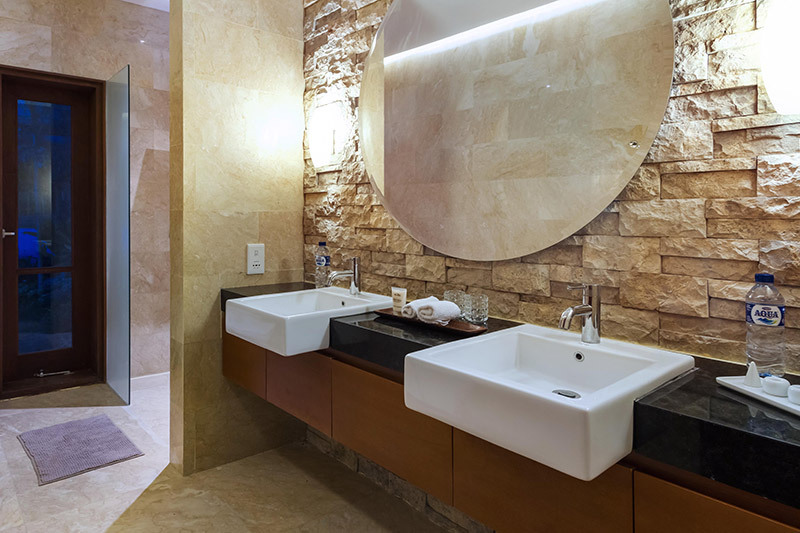 with Granite on the surface of the kitchen, and there are stainless steel bathroom fixtures with an amazing mix of contemporary furniture. 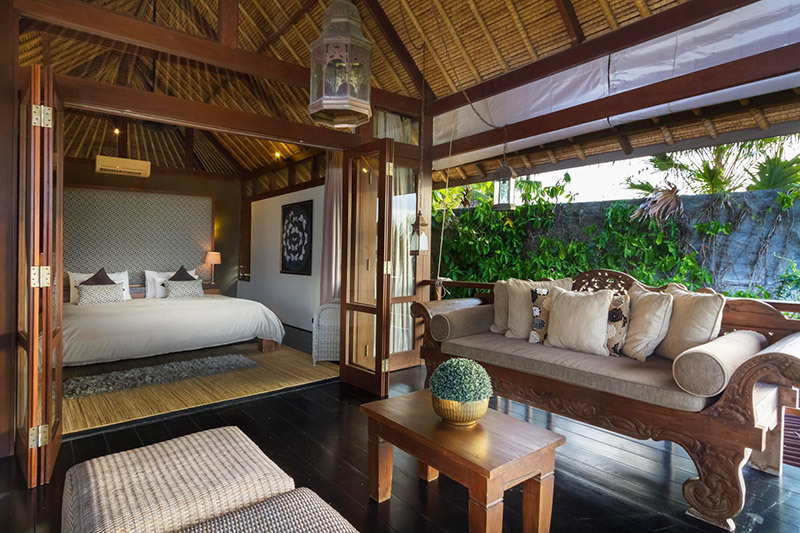 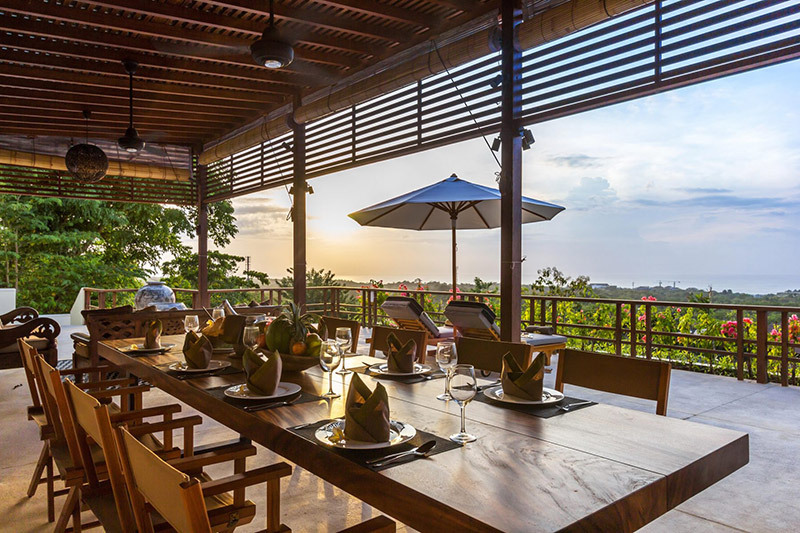 with high grass roofed ceilings, and intricately carved wooden doors that are distinctively Balinese. 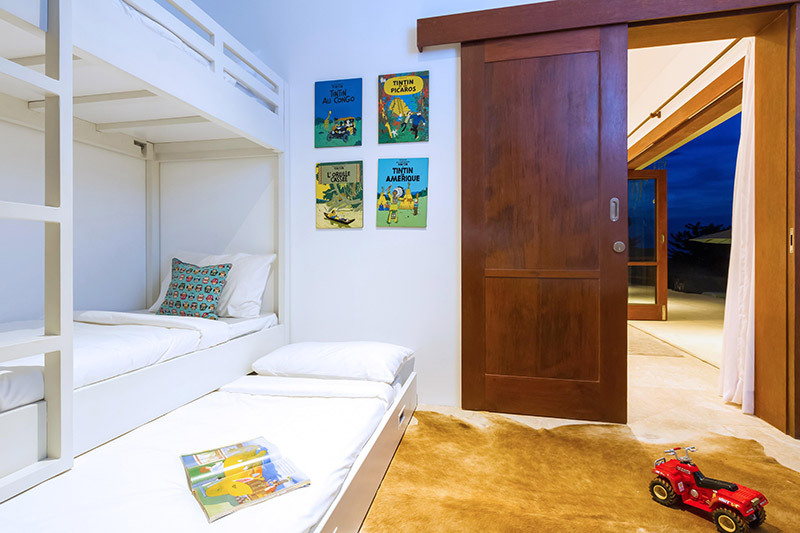 So it will give you the experience of staying in a villa to be the best place to spend your holiday in Bali. 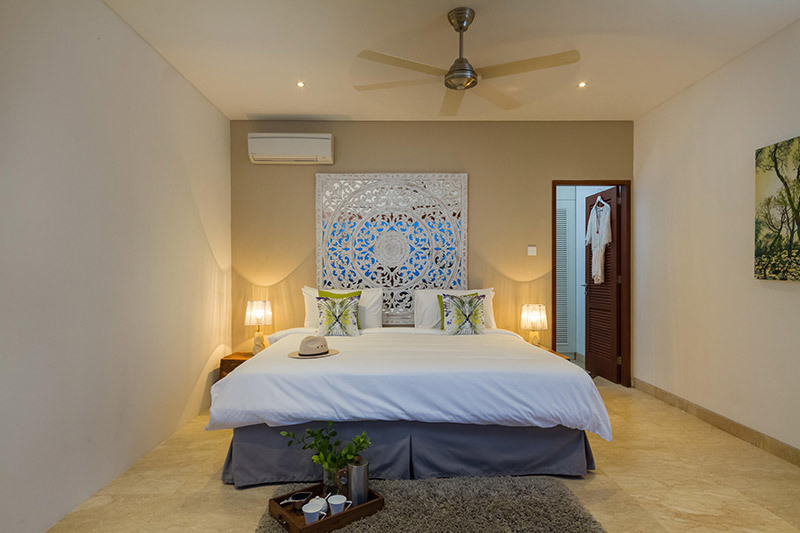 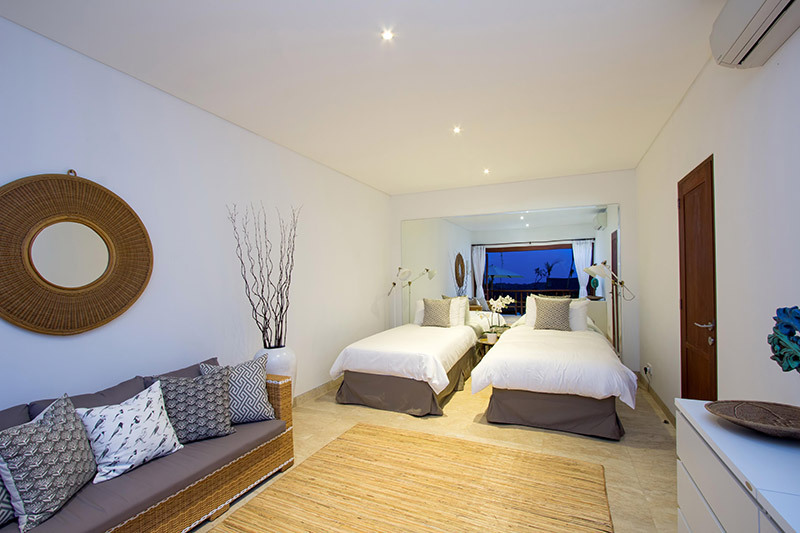 ensuring all your privacy needs, and the villa staff will be happy to prepare delicious meals for you, and clean up your bedroom as well as handle laundry and shopping requests (of course at an additional cost). 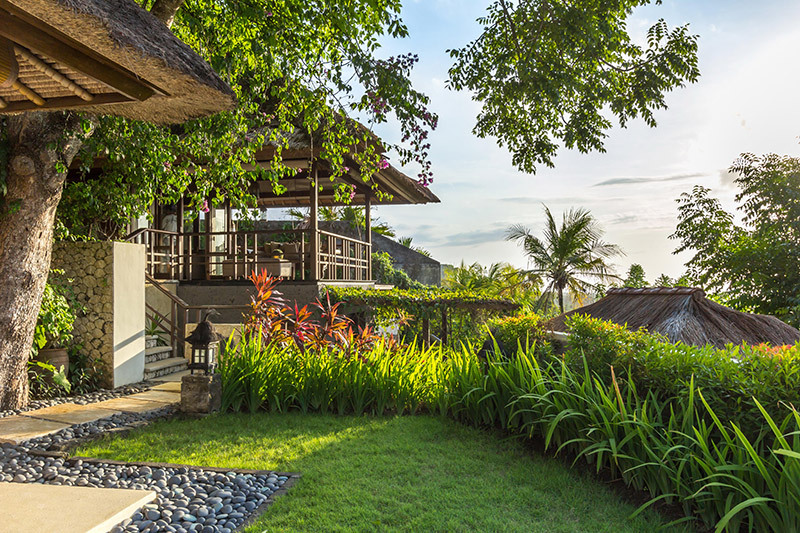 there is a villa Manager who will assist you in making reservations for both travel, spa treatments and restaurant reservations. 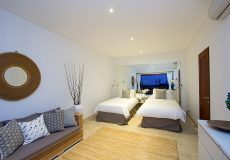 Notice of cancellation must be given in writing, deposits and final payments are non refundable.